Build Up MI offers tips and fun activities to support your child’s development. Research states that what children learn in their first five years makes a significant impact on their entire life. Parents, grandparents, childcare providers and educators all contribute to a child’s development by providing a positive environment in which they can learn. 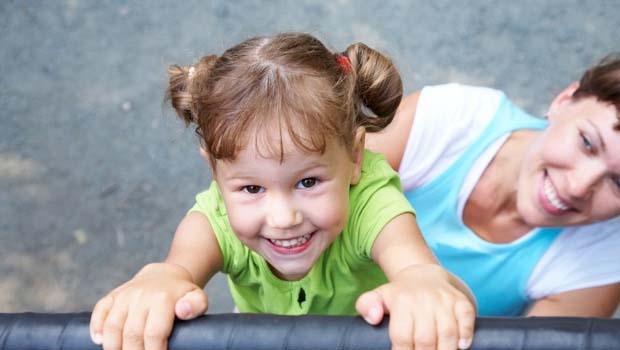 Gross motor skills – crawling, walking, running, jumping, etc. Social & Emotional – learning to play alone or with others, developing manners and kind words, etc. Self-Help & Adaptive – learning to dress and tie shoes, eat independently, basic hygiene, etc. CREATE A SCAVENGER HUNT – Take advantage of the fact that kids are natural investigators. Have your child search for particular fruits, vegetables or an item of a certain color in the grocery store. While at the park, have your child identify a rock, flower or a tree. And while at home, have them locate items of different shapes, colors or with a particular letter or word on them. GET ORGANIZED – Promote organization in your home while nurturing your child’s cognitive, self-help and adaptive skills. Set up an area in your home for your child to store his or her toys, shoes, etc. Grab some plastic bins and work together to create labels for each. Then play a guessing game with your child by asking where certain items belong. READ A BOOK – Go back to the fundamentals – sit down and read a book with your child. Find books that encourage learning songs, basic math or the alphabet. Ask questions about the pictures and encourage your child to ask about anything they don’t understand. This fun activities to support your child’s development article is provided by Build Up MI of Metro Detroit for Oakland County Moms. Visit www.buildupmi.org to learn more about how to get your preschooler kindergarten-ready! Scavenger hunts have been one of our favorite family activity. Always different each time we play.